Paramedics in north-west England have suspended a schedule of weekly strikes to allow talks to commence in a row over pay. GMB union members will not strike this weekend to allow discussions between the union and North West Ambulance Service management. Two meetings have taken place involving the conciliation service ACAS. GMB paramedics have carried 26 hour walkouts each weekend for seven weeks, with more due until the end of October. 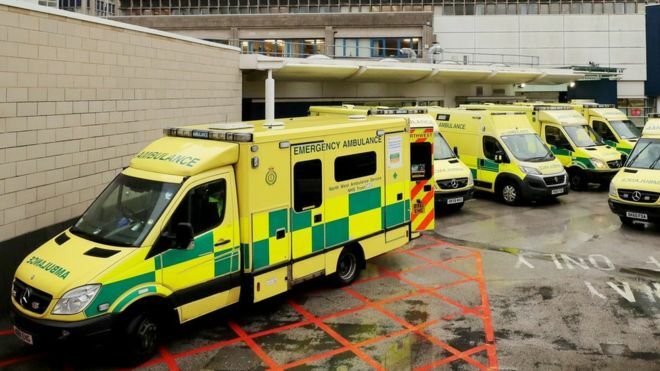 Ambulance staff covering Lancashire, Cumbria, Cheshire, Merseyside and Greater Manchester have been involved in the dispute since July. GMB said the industrial action had been “a last resort” after staff had “waited patiently” for the outcome of a job re-evaluation exercise, for more than 12 years. “Our members now have no confidence in the JEG to enable a fair and transparent evaluation. “GMB is asking for an independent investigation to be undertaken into what has gone on during the past 13 years and the reason we are in this situation.